What traditionally was known as women’s studies has changed and evolved, leading William & Mary’s Gender, Sexuality and Women’s Studies Program to do the same. Founded in 1991 as women’s studies, the program name was changed to GSWS in 2013. 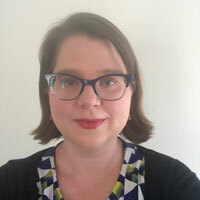 Its current expansion builds further on a focus on interdisciplinarity, right along with W&M’s shift in its general education curriculum, said Assistant Professor of Government Claire McKinney, who serves on the GSWS Curriculum Committee. “We felt with those general education shifts, the old major was kind of overlapping with other college priorities,” McKinney said. “And so we took last year to think about how we could express the particular priorities of gender, sexuality and women’s studies. And so what we did was move away from a curriculum that emphasized a split between the social sciences and the humanities, and instead thought about what are the areas or concepts that we think are really important for students to come away with. The new tracks play to the program’s strengths. It’s not that issues such as reproductive rights, sexual harassment and the gender pay gap aren’t important, she added, but that they need to be thought of as one facet of the wider experience of gender and sexuality. “And there’s something really dynamic about gender and sexuality studies broadly, which is the students are always coming with a very different perspective than what we have,” McKinney said. “And I think this goes a little bit to age, which is their experience has been much more open (informationally) than what it would have been even for somebody growing up 20 years ago, especially with encounters with digital forms of information and digital experience. 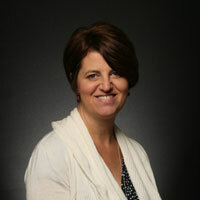 Jennifer Putzi, associate professor of English and GSWS, served as the program’s director for three of the past four years. She emphasized building up the number of public events the program sponsored and its transgender coursework, including bringing more transgender speakers from outside the university so that people can hear their perspectives. More material on transgender studies was added to the intro course and several courses on the topic were developed, which Putzi said is more than many universities offer. Adding a wider range of offerings has been what the new course curriculum has been all about, with Putzi saying students can still take her course on Emily Dickinson, but they could also choose from courses on black women’s writers, transgender writers or lesbian literature. The new major represents what’s available much more clearly and is aspirational in its room for growth, Putzi said. On specialized initiatives, GSWS also is partnering with the Equality Lab, which Losh heads up. The two recently co-sponsored the Nov. 2 digital humanities symposium and continue to join forces on student research projects. GSWS officials say that there are no longer firm lines between disciplines, majors, student interests or types of student who may enroll in one of their courses. For example, McKinney’s current course Medicalized Citizenship draws a lot of pre-med students, some of whom are interested in thinking about medicine in a political context. Losh sees students studying STEM, business and other fields branching out to take GSWS courses.